Main features of training management. Advanced management of enrolments in e-Learning, blended or classroom courses (with management of resources such as lecturers and classrooms). Enrolments can be time-programmed, block booked, etc. It is possible to create personalized certificates, have them issued automatically at the end of a course and email them to learners. There is an option to set up night-time upload to remote storage backup servers. 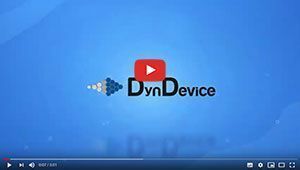 DynDevice is also an archive for easy and quick consultation of all documents related to business training (certificates, minutes, training contracts...) - including previous non-DynDevice training once the related documents have been uploaded. Automated management of deadlines for mandatory workplace health and safety courses and e-mail/control panel alerts in order to keep schedules monitored and ensure compliance to the relevant laws and regulations. With the addition of solutions "2. Course delivery" and "3. Course Creation", DynDevice can manage the training process in full (as summarized in the following steps).